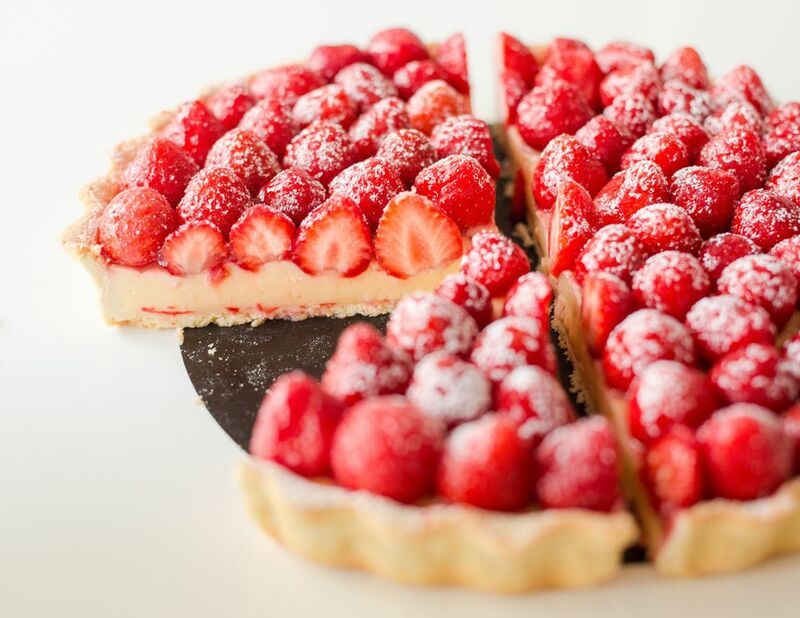 Turn those freshly picked strawberries into a luscious strawberry cream pie! This recipe includes a custard filling, and a store-bought pastry shell to save time. In the top of a double boiler, mix sugar, cornstarch, and salt; gradually add milk and cook over simmering water, stirring constantly, until thickened. Add a small amount of the hot mixture to the beaten eggs; whisk in quickly. Return egg mixture to hot sauce mixture in double boiler. Cook, stirring constantly, until thick. Remove from heat; add butter and vanilla extract. Cover and chill. Pour chilled mixture into the baked pastry shell. Arrange halved strawberries over the filling. Chill. Spread with sweetened whipped cream or whipped topping just before serving. Garnish with more halved berries.